Ben Franklin Properties was founded in 2002 by Ben Greenway and Karina Greenway. They have since grown to include a selectively chosen team of agents, assistants and transaction coordinators. 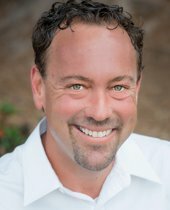 As a leader in San Diego real estate, Ben also prides himself on creating a trusted network of experienced professionals including photographers, videographers, stagers, designers an escrow/title team, mortgage brokers, and home service providers. Ben has almost 20 years experience as a real estate broker and he uses this experience to help guide both his clients and his agents. A majority of Ben Franklin Properties’ clients are referrals from past clients. Their clientele include both real estate investors and clients purchasing personal residences. Ben Franklin Properties is proud to help clients buy and sell all over San Diego County as well as Temecula and Murrieta areas. They offer service and have experience buying and selling homes in all different price points, from starter homes to luxury estates. Agents at Ben Franklin Properties are hand-picked for their ethics and their standards for client care. It is of the utmost importance that each client is treated the same way a family member would be treated. The team consists of San Diego natives and very longtime residents which makes them experts in their markets and gives them the ability to anticipate market trends, price properties aggressively, and negotiate purchases armed with local knowledge as well as the latest market reports. Ben Franklin Properties was recognized as Small Business of the Year 2016 and their agents have been featured for many years in San Diego Magazine earning the coveted Five Star Award. Ben Franklin Properties is known in the real estate community for their professionalism, ethics, and responsive communication.